For a comparatively small country, Ireland’s contributions to the world of literature have been enormous. From the older tradition, Irish writers have inherited a sense of wonder in the face of nature, a narrative style that tends toward the deliberately exaggerated or absurd, and a keen sense of the power of satire. These themes carry through the entire canon of Irish literature, up until modern times. Stephen Brennan brings us this collection of classic stories, essays, and fairytales that inform the past and therefore, the present, of our most beloved fiction. In Irish Stories and Folklore, the reader can revisit old favorites, like Oscar Wilde's short story "The Canterville Ghost," and discover lesser-known treasures such as "The Orange Man, or the Honest Boy and the Thief" by Maria Edgeworth. 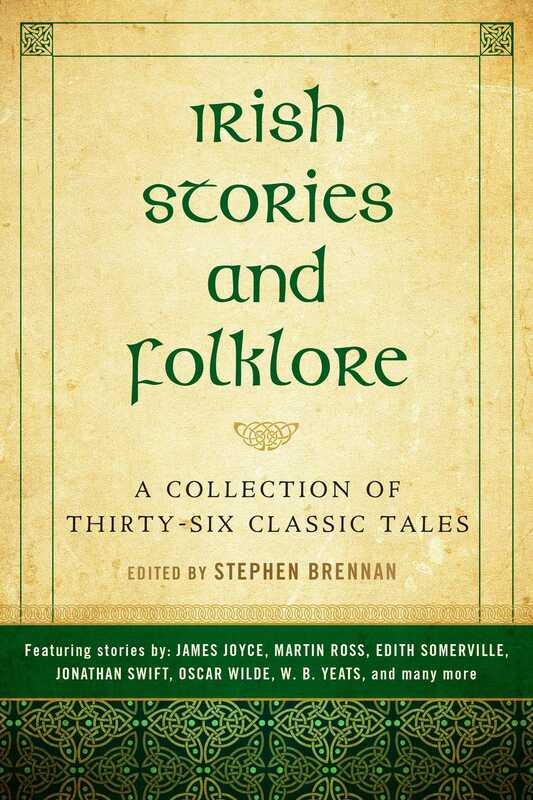 The imaginative stories contained in this volume are sure to engage the mind and delight readers looking to enhance their knowledge of the rich history of Ireland.